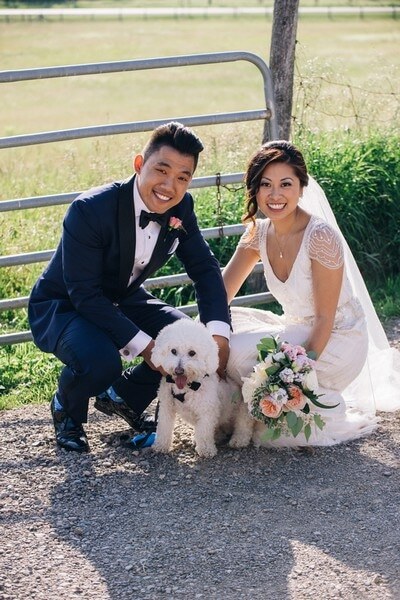 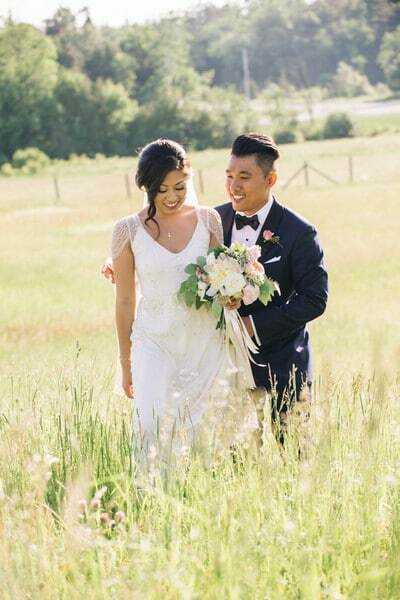 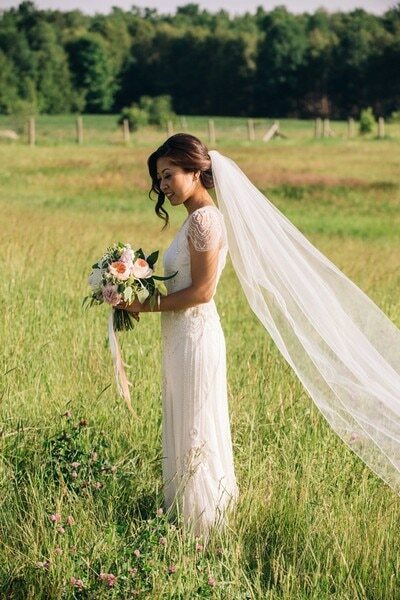 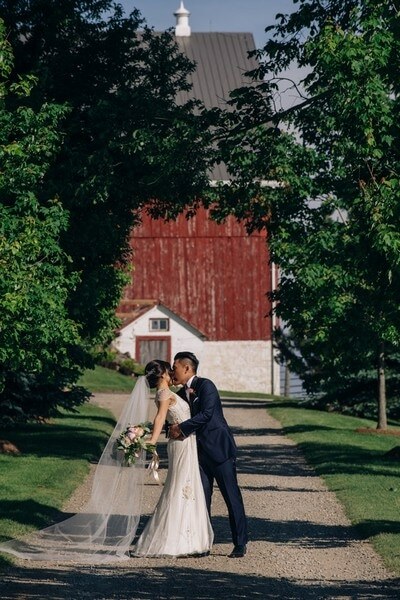 With the stunningly scenic Cambium Farms serving as the picture perfect background, Jody and Kenneth’s big day is a beautiful mix of rustic, whimsy, and shabby chic. 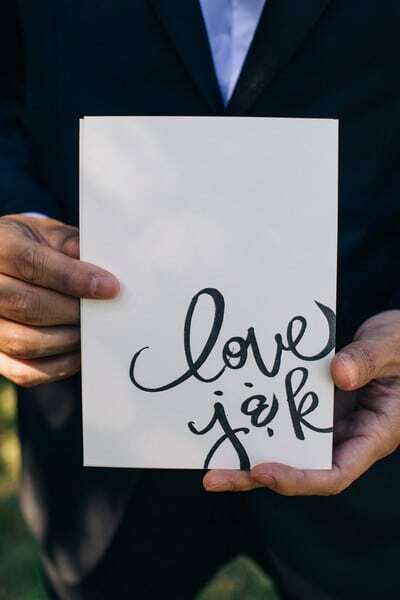 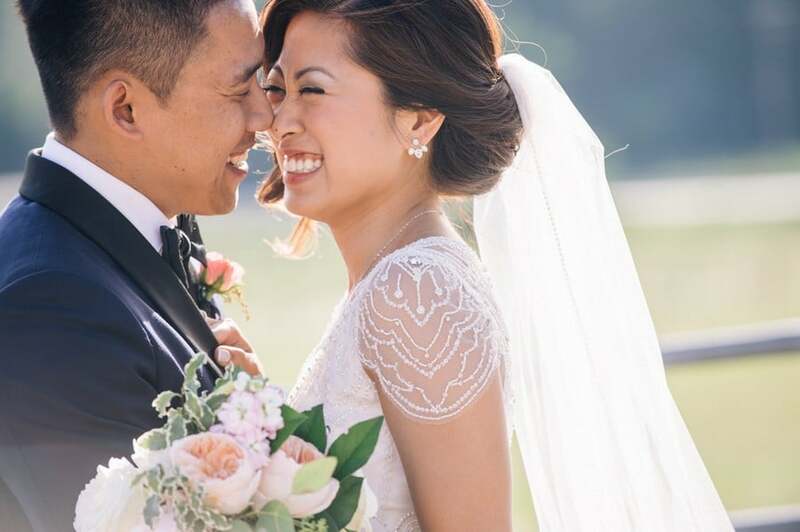 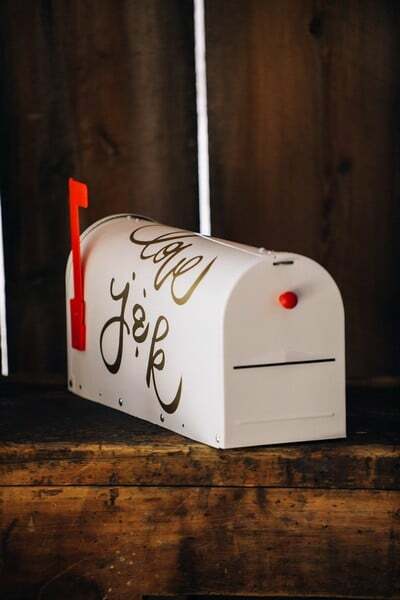 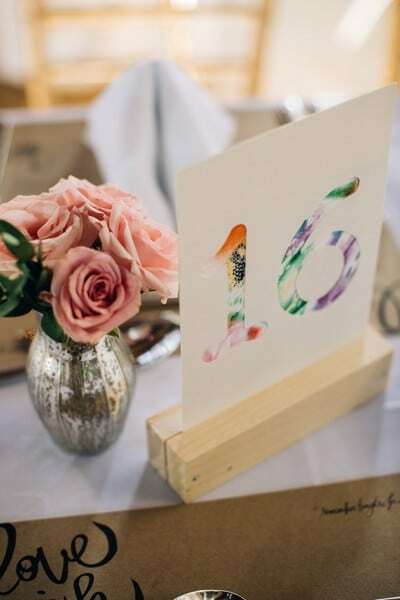 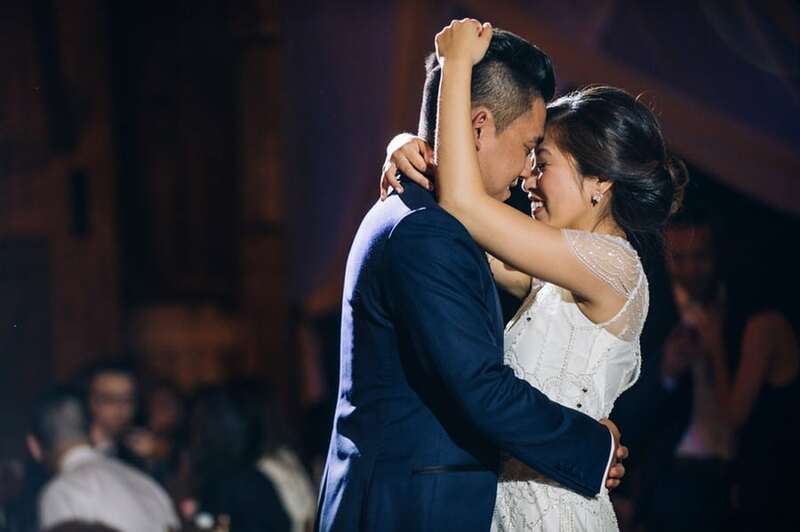 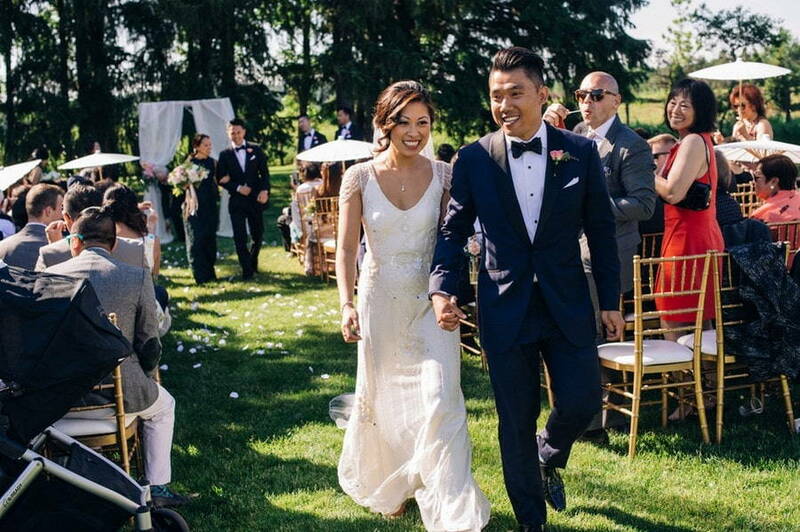 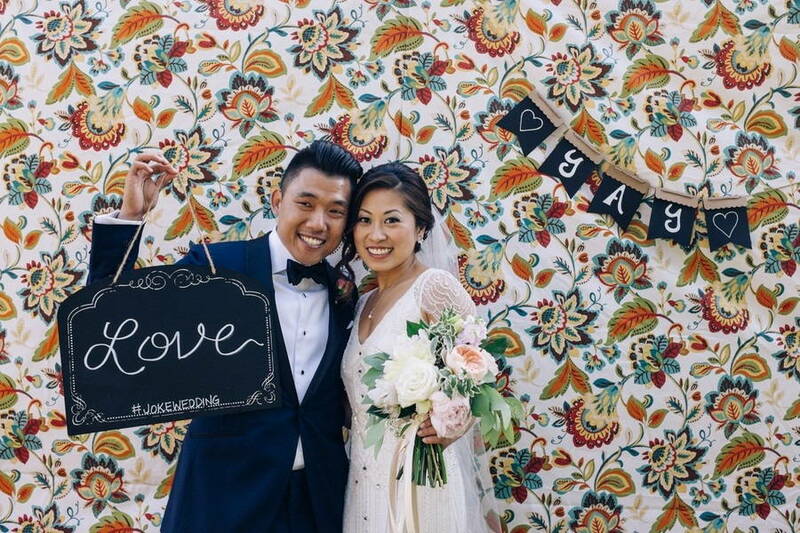 Taking the first two letters from each of their first names, the couple deemed their special day a JOKE wedding (adorable!). 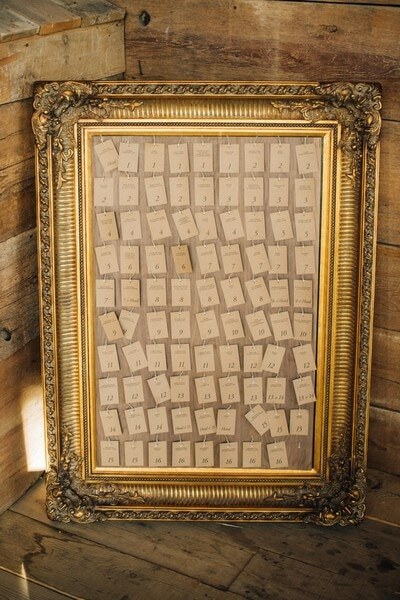 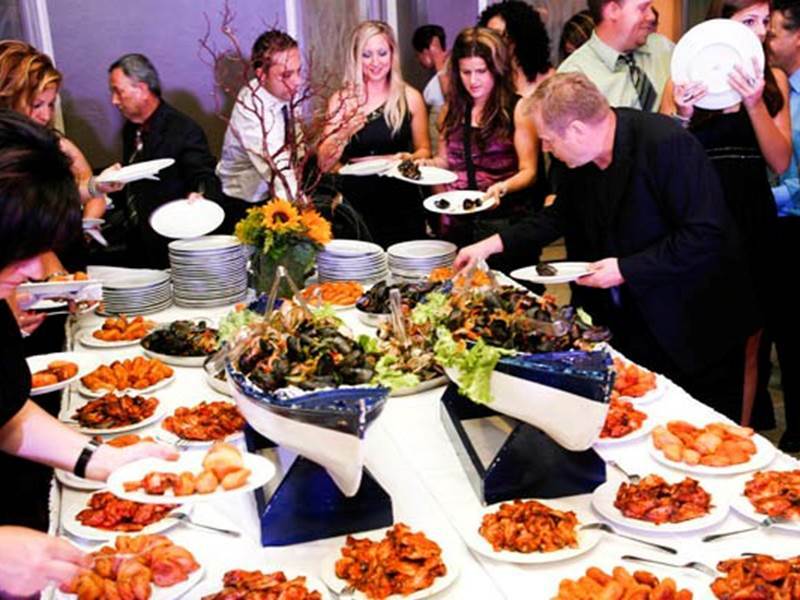 Everything from the invitations, to a hashtag, and all things in between referenced JOKE. 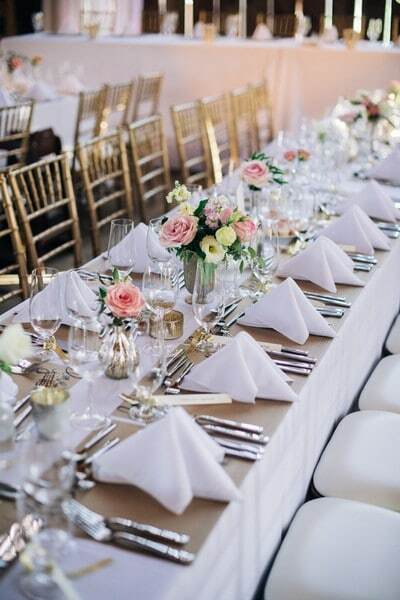 Elegantly executed by Beautifully Planned Weddings & Events and superbly captured by Mimmo & Co., this is a wedding truly worth Pinning. 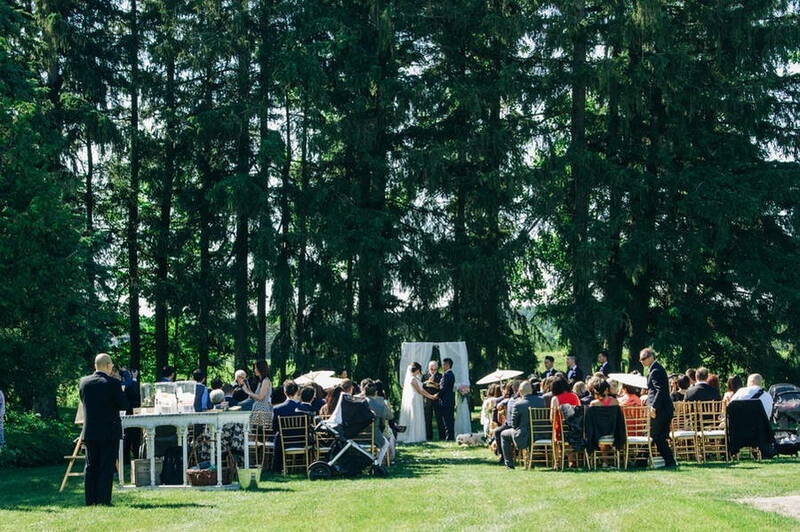 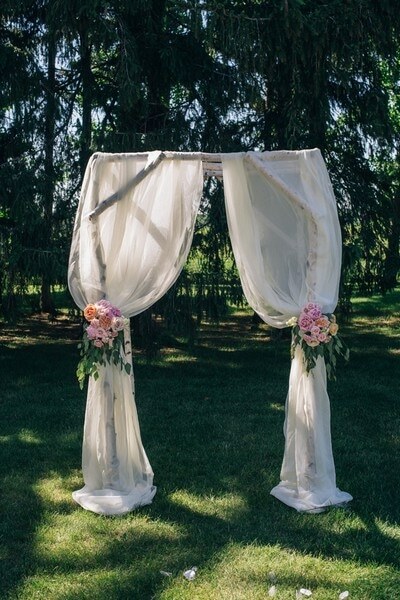 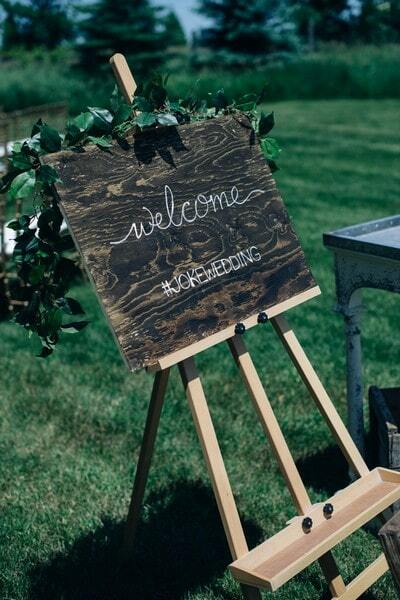 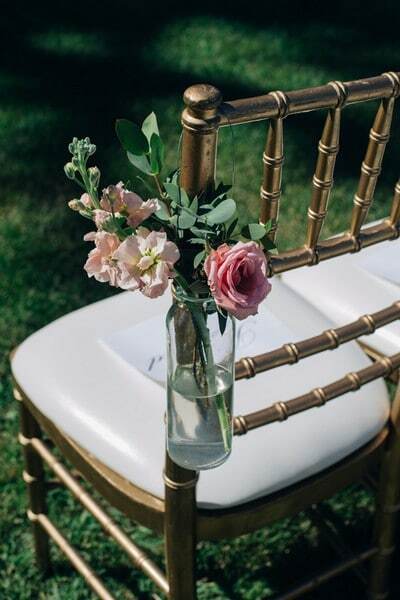 The couple’s outdoor ceremony is complimented by darling details, including the welcoming chalkboard easel and pretty wildflowers attached to the guests’ chairs. 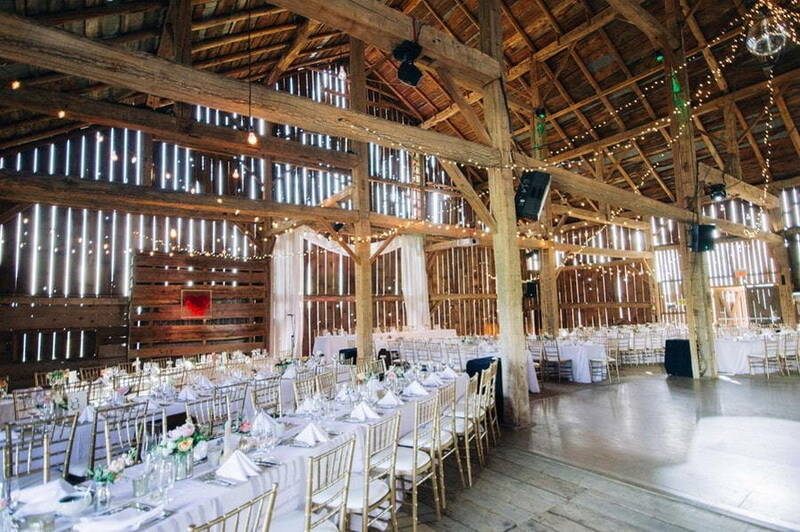 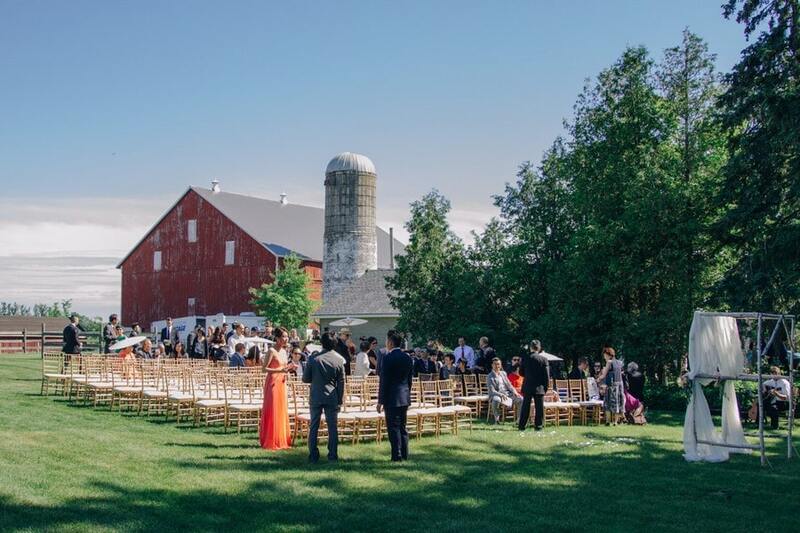 The newlyweds’ reception reflected the picturesque farm setting with a romantic rustic celebration that was truly personal. 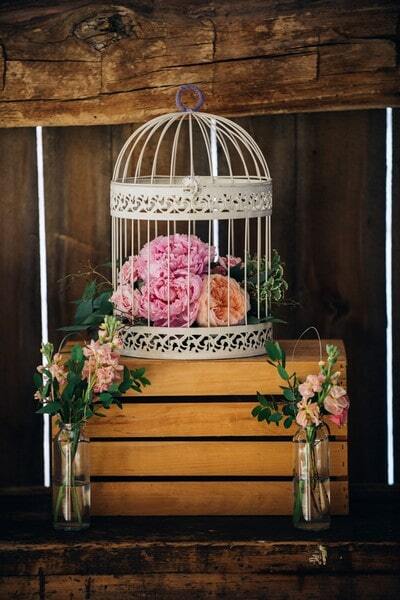 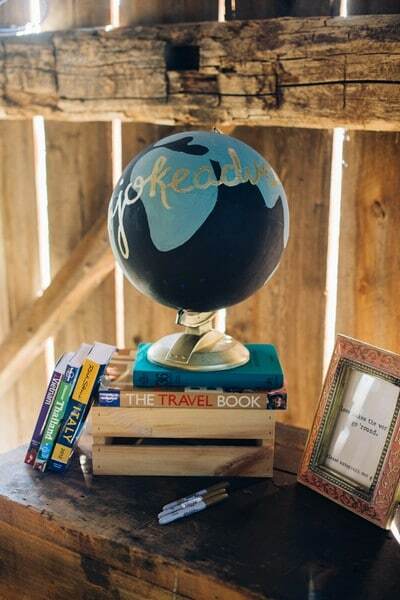 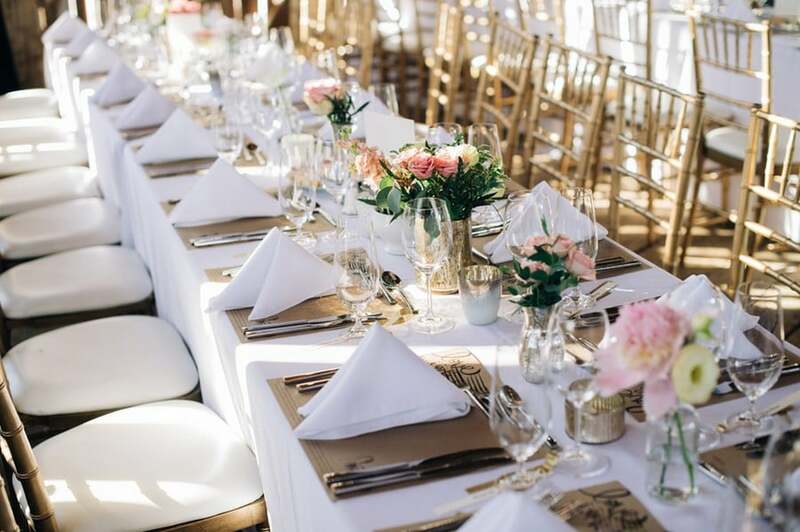 Catered by Cabral Catering, the vintage-inspired affair was peppered with precious antique accouterments, including a globe, books, and a monogrammed mailbox, which were provided by Cedar & Stone Floral Studio. 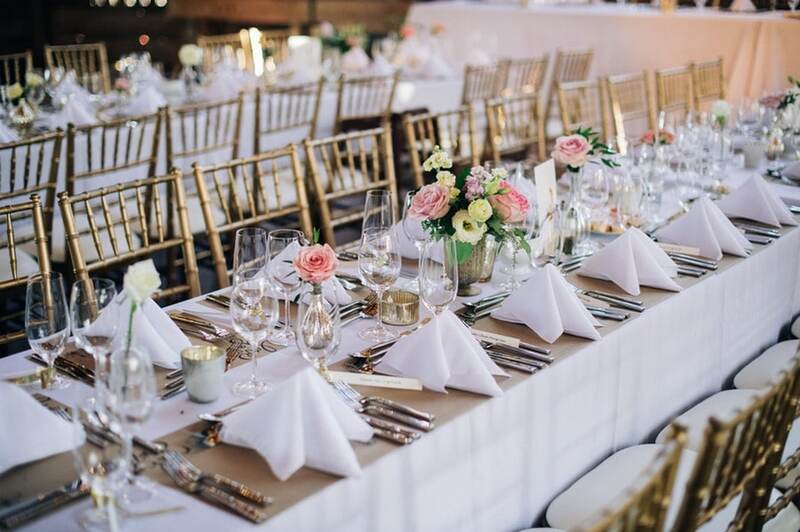 Strings of twinkle lights and a classic neutral palette gave the evening an elegant vibe.